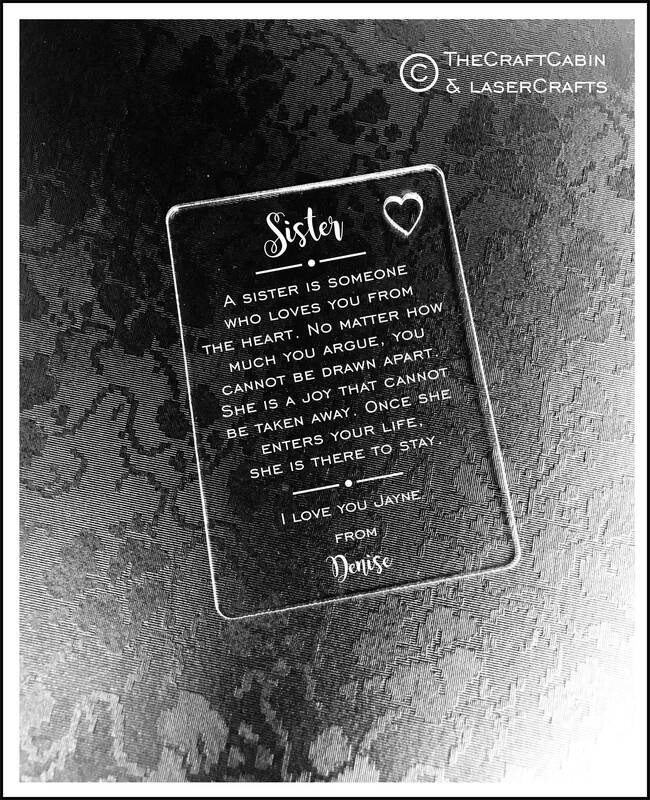 Personalised Sister Gift Wallet Card Keepsake - Engraved Special Gift. Perfect for a Sister or Family. Ideal for Birthday or Christmas. 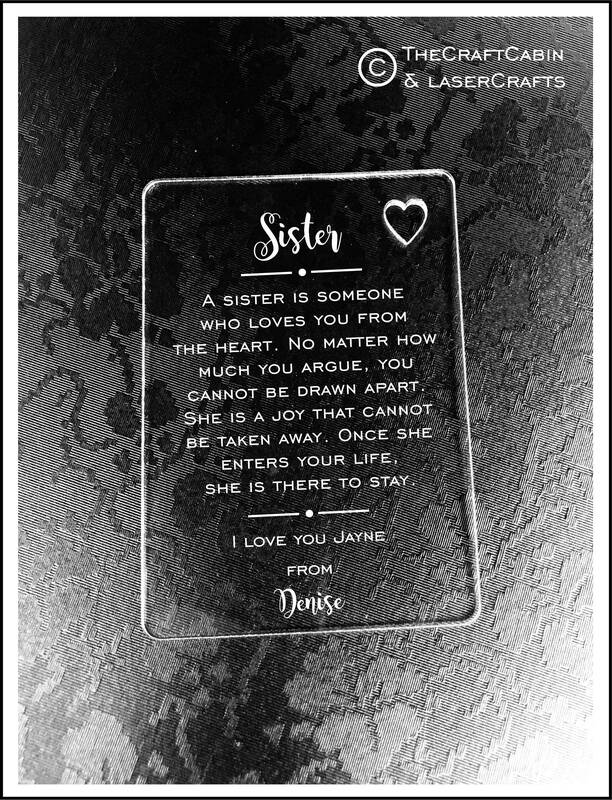 Personalised Sister Gift Wallet Card Keepsake - Special Gift. Perfect for a Sister or Family. Ideal for Birthday or Christmas. Beautiful Auntie Gift, cut & engraved on high quality Acrylic. Personalised Wallet Card. · Personalised to any step parent. And you own name and date. ✦ Please leave details of sister name & own names to be added.